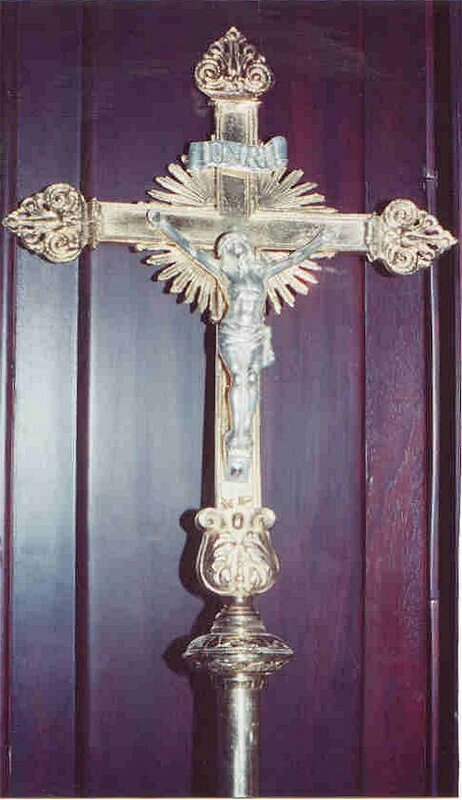 Beautiful standing altar crucifix made of cast brass, gold plated standing 18" tall x 7 1/2" wide. Silver plated corpus. Copy of a fine antique from France. Finely detailed. It is a fine copy of an French antique. 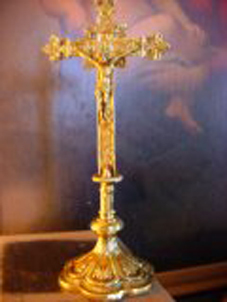 It is made of solid cast brass. 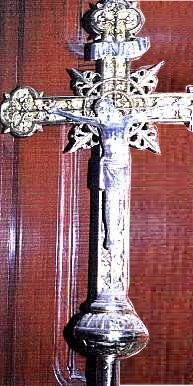 The corpus & INRI are silver plated. All lacquered so it doesnt need polishing. 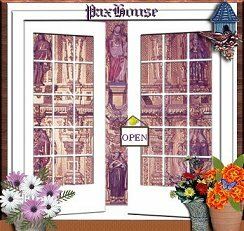 The base has cameos of Jesus , Mary & Joseph. 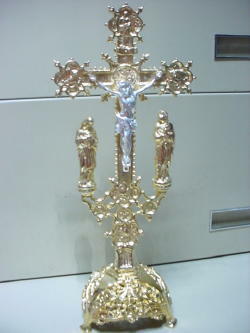 Matching candlesticks are available for this crucifix. This item stands 25" tall, 10" wide. 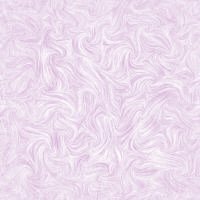 It has nice detail you cant see in these photos. 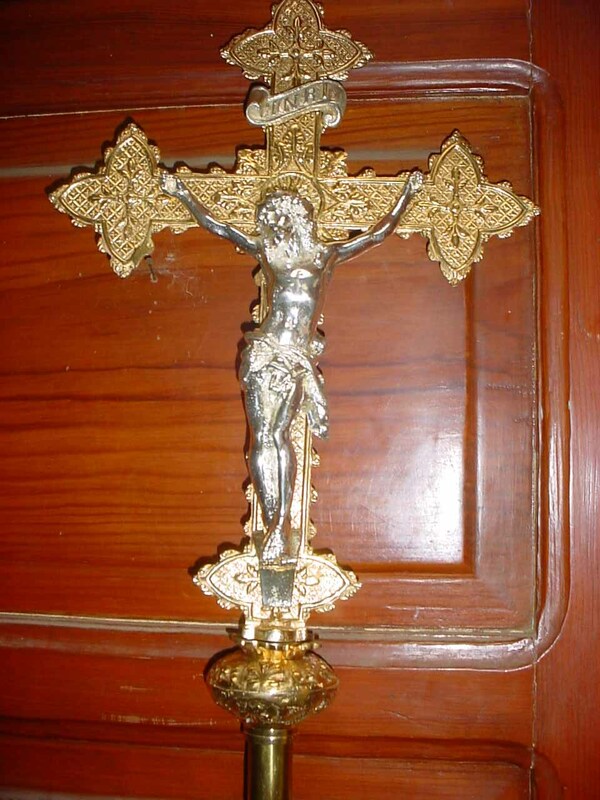 Made of solid cast brass, gold plated with silver corpus & INRI. Beautiful cast with fine detail. 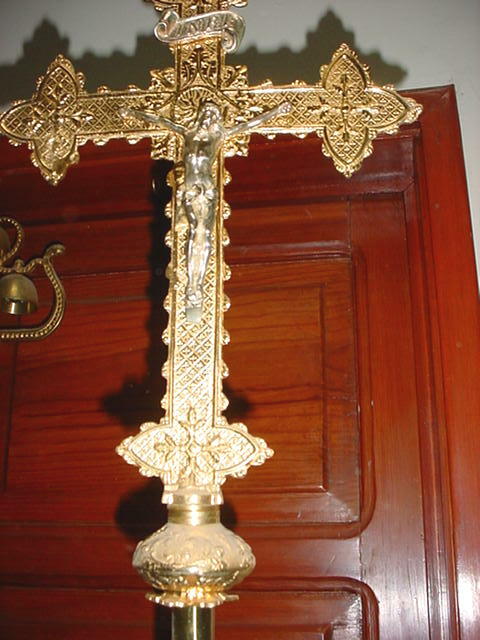 Note: Other standing altar crosses available in all sizes, designs, with or without corpus, silver or gold plate. Stands 13" tall with 4 1/2" diameter, 4 1/2" base. 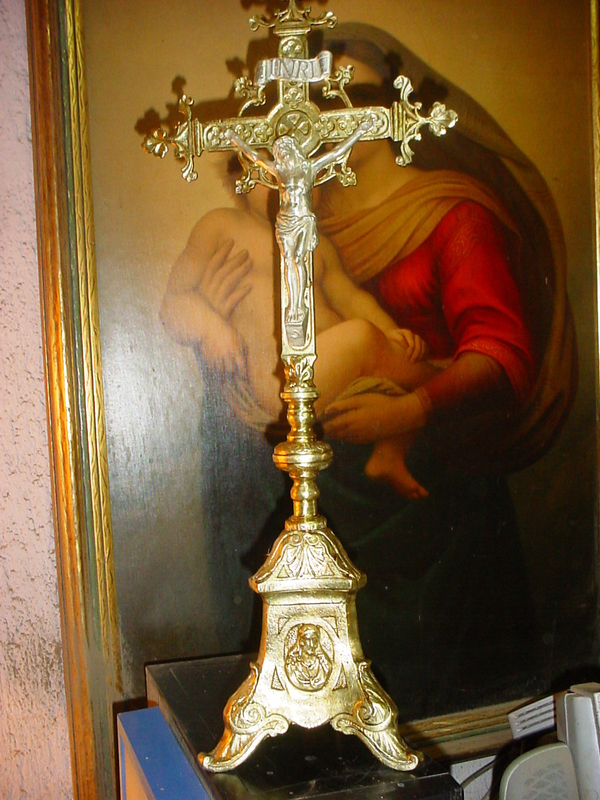 This is a small altar cross reproduction of an antique. 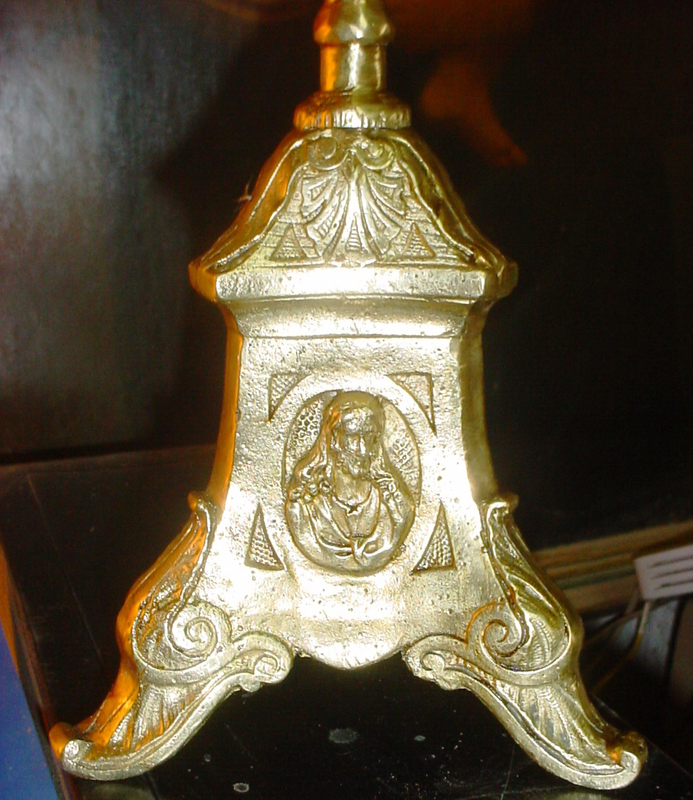 made of solid cast brass with antique patina and lacquer. Nice detail. 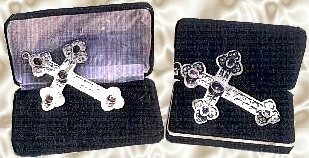 Ideal for use on a small home chapel altar, or sick call table or credence table. 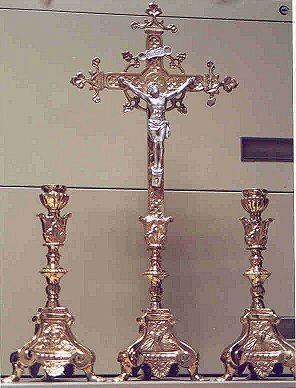 Also good to use on an altar for mass facing the people. Ideal for credence or sick call table. 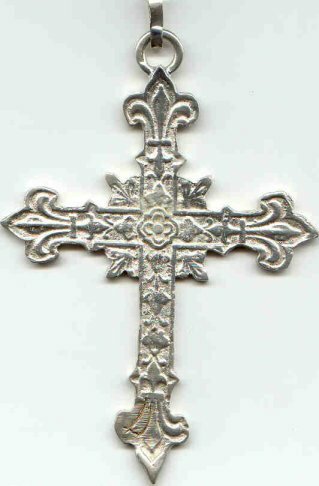 This is a copy of an early 19th Century antique. Made of solid cast brass and brass tubing. 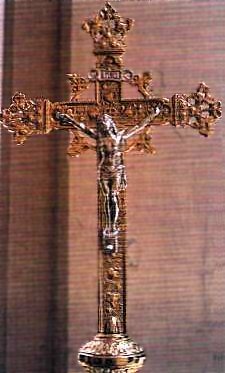 Cross is gold plated with silver plated corpus. Tubing is polished lacquered brass. Other models available, all copies of fine antiques. 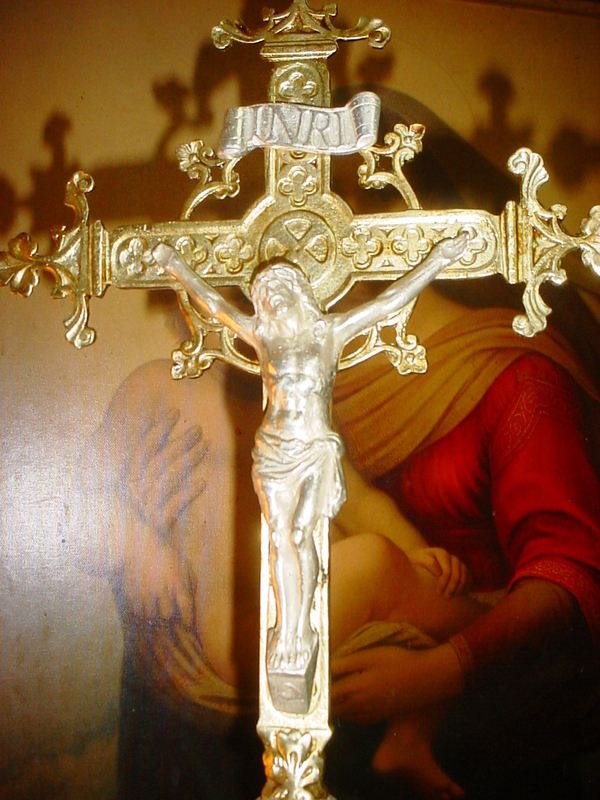 Made of solid cast brass, silver plated corpus & INRI. 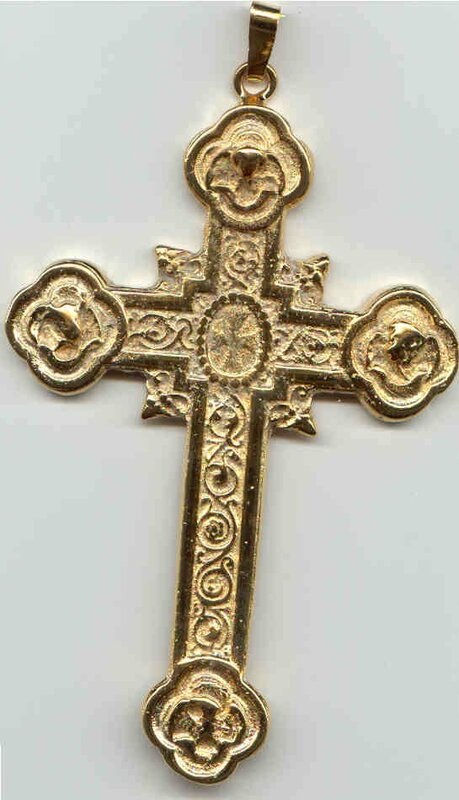 Made of solid cast brass, gold plated with silver plated corpus & INRI. Total height of item is approximately 57". 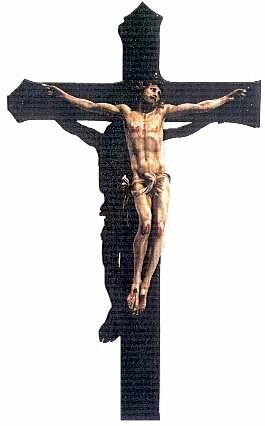 Cross is plated in 24K GOLD, corpus & INRI is silver plated. Pole is polised & lacquered brass.